Our relationship with the senses is a complex one. Professionals from every discipline have spent decades and dollars attempting to understand how and why the brain interprets and reacts to what it tastes, smells, sees, hears and touches. For educators, one of the most interesting of those complexities is the impact of color on students’ learning abilities. 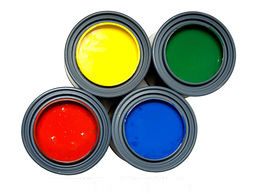 When It Comes To Learning, Does Classroom Paint Color Really Matter? Science has proven that color elicits a response to the energy produced by the light it gives off, and that color affects our body functions and influences our mind and emotions. Lighter colors such as yellow and light blue elicit positive feelings while darker ones such as deep blue, black or gray create negative emotions. Colors can also make a room seem smaller or larger. Experts at Sherwin Williams agree that color plays a significant part in learning. Brain-based learning, the latest buzz in education, is, at its core, learning via the senses. 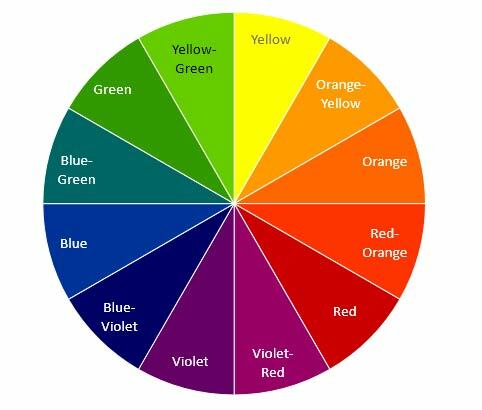 We know that color is one of the key elements in a stimulus–rich learning environment. A well-planned palette offers a broad range of colors, including serene blue or green shades combined with more stimulating reds, oranges or yellows. Combining lighter tones with deeper accent colors creates a dynamic sense of place. If you combine multiple colors in a school classroom, they should compliment each other and offer an environment that stimulates learning in children and not cause a distraction. The furniture in the classroom should coordinate, and be a good color match for the classroom wall colors. Depending on the wall colors chosen, light-colored fabrics and natural wood furnishings, which blend better. To help students, staff and visitors bond with the school by using the predominant color or colors from the logo/mascot on some of the walls in the hallway, on railings, or use as coordinating colors in classrooms. 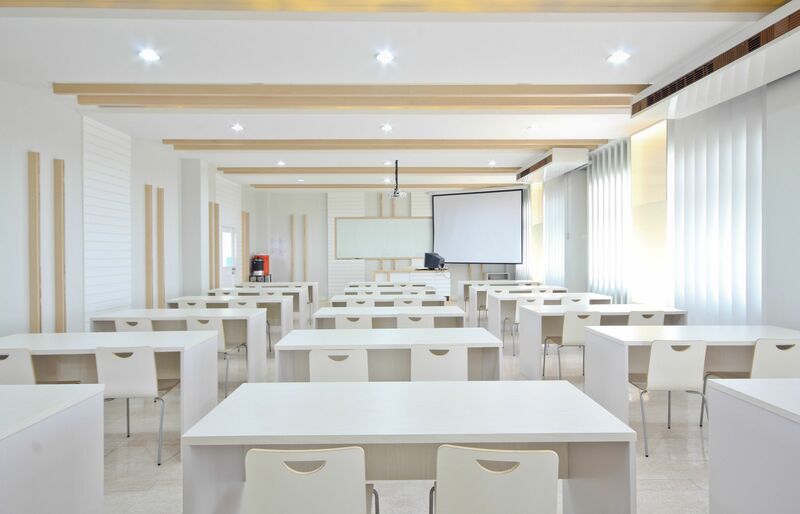 Color schemes in a school can increase comfort and promote learning, and even though some schools may prefer certain colors, consideration for how they might affect children should always be a major factor in the final decision of which classroom paint colors they chose. 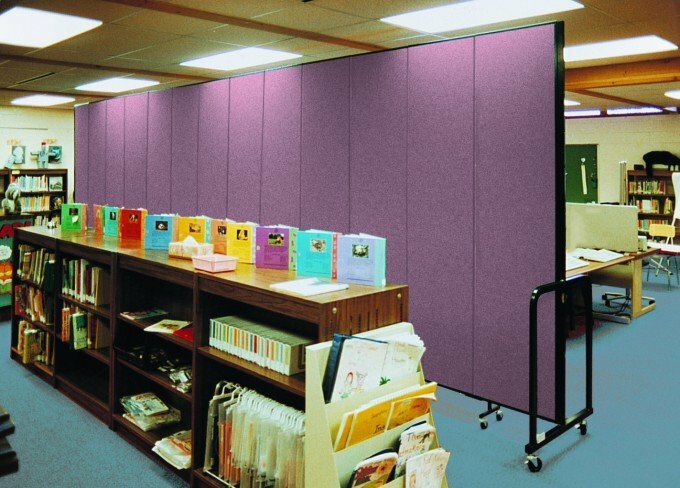 Need to add a pop of color to your school with Room Dividers? Give one of our sales consultants a call for a free Room Divider floor plan or to request fabric color swatches available for Screenflex panels.